Heat oven to 350°F. 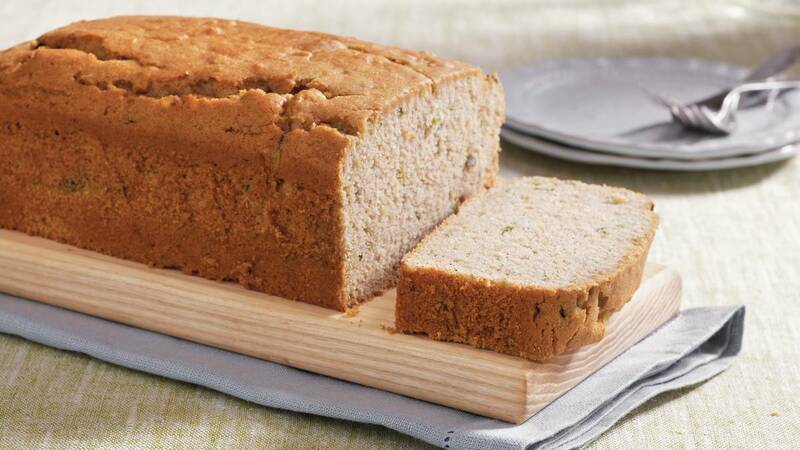 Grease bottom only of 9x5-inch loaf pan with shortening or cooking spray (without flour). In large bowl, beat all ingredients with electric mixer on low speed 30 seconds, scraping bowl occasionally. Beat on medium speed 1 minute, scraping bowl occasionally. Pour batter into pan. Bake 50 to 55 minutes or until toothpick inserted in centre comes out clean. Cool 10 minutes; remove from pan to cooling rack. Cool completely, about 2 hours. To store, wrap tightly in plastic wrap or foil. Gluten-Free Tip Always read labels to make sure each recipe ingredient is gluten free. Products and ingredient sources can change.